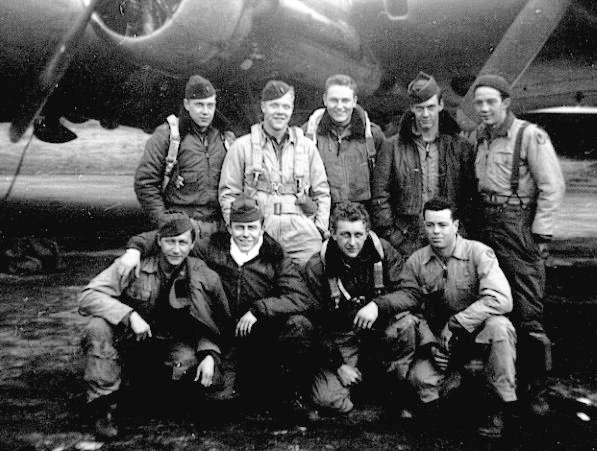 (*) Flew all of their 30 combat missions with Lt Denison as Pilot. 2Lt William A. Denison (P) - Flew first of his thirty missions on 27 February 1945 as a CoPilot. Had an experienced Pilot on this indoctrination mission. 2Lt Charles H. Haynes (CP) - Flew 17 missions with the Denison crew. First mission (#326) 28 February 1945. Last mission (#347) 28 March 1945. 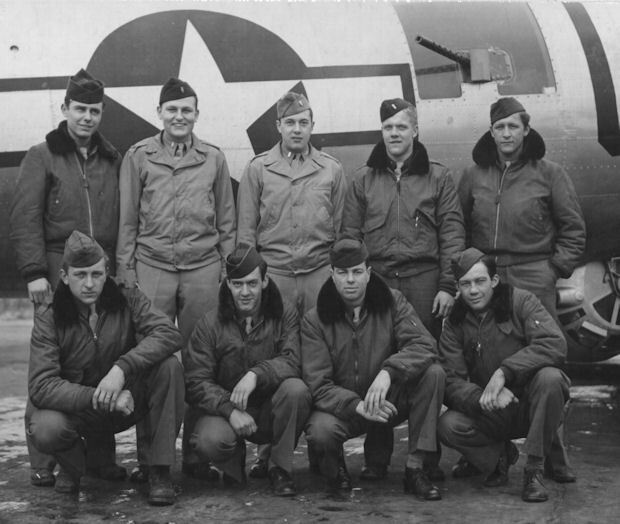 Denison Crew then had substitute CoPilots on their remaining 12 missions. Sgt William Mack (Tog) - Flew 17 combat missions with Denison Crew and three missions with other Pilots. Crew had several substitute Toggliers and had Substitute Bombardiers on five missions. Sgt Harold A. McComb (WG) - Crew waist gunner position eliminated when crew size was changed from nine to eight men on 31 March 1945 Flew 22 combat missions, five with other Pilots. Flew last seven missions as a Togglier. F/O John E. Zabelicky (Nav) - Flew 28 combat missions with the Denison Crew. Crew had substitute Navigators on two missions.